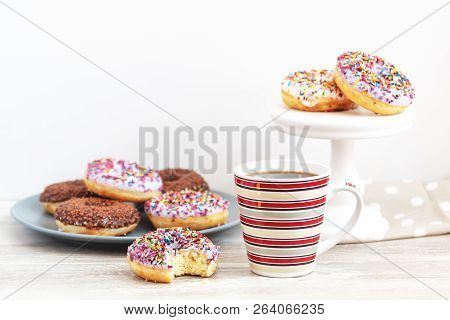 Delicious glazed donuts and cup of coffee on light wooden background. 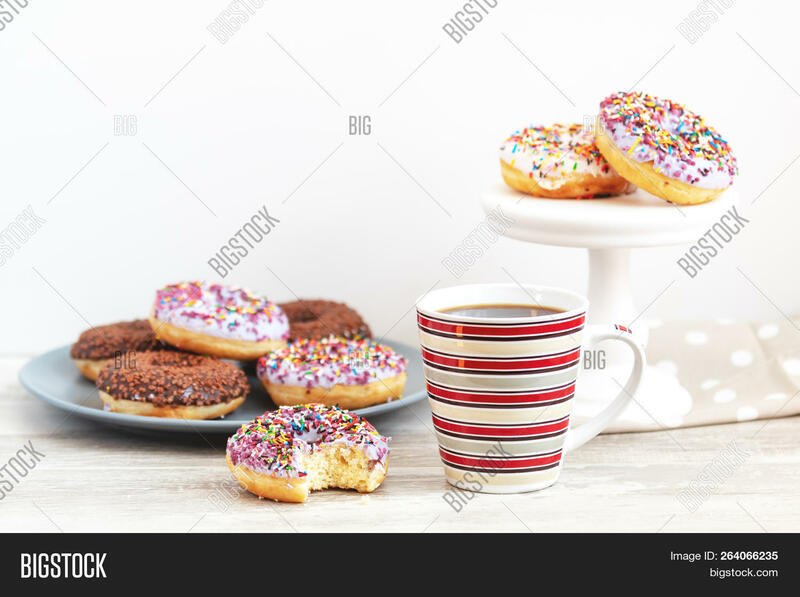 Beautiful romantic breakfast or lunch concept. Shallow depth of the field.